Mets prospect Noah Syndergaard will get his first start of the season during a four-game set against the Chicago Cubs. 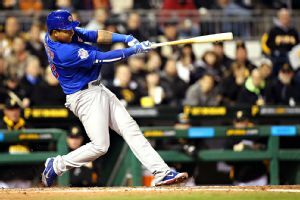 Loaded with position players who are 25 or younger, the Cubs are playing beyond their years in the early going. 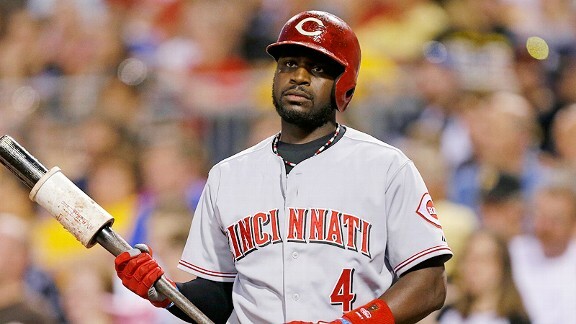 Cincinnati Reds second baseman Brandon Phillips left Friday's game against the Chicago Cubs because of back spasms. The biggest beneficiaries of the Dodgers carousel of injuries last season, it turns out, were veteran bench guys Nick Punto and Skip Schumaker.Punto played well at multiple positions, including shortstop, and for a time was one of the Dodgers more productive offensive players, which tells you something about their litany of injuries. Could Mets swing deal for Profar? Could the New York Mets end up with Jurickson Profar in their lineup at shortstop for the 2014 season? That's the question that ESPNNewYork.com's Mark Simon ponders as the time for off-season roster changes gets closer to kicking off. Here's Jhonny, or is he? Although he is still serving out the remainder of his 50-game suspension, the Detroit Tigers have decided to allow Jhonny Peralta to resume workouts with the team, beginning today. Miguel Cabrera has been taken out of the Detroit Tigers' lineup for a second straight game to rest his strained abdomen. Third baseman Miguel Cabrera is out of the starting lineup for Detroit's game against the Cleveland Indians on Saturday night. What if Cabrera injury proves serious? For the moment, the extent of the injury suffered by Miguel Cabrera of the Detroit Tigers on Thursday afternoon is unknown. 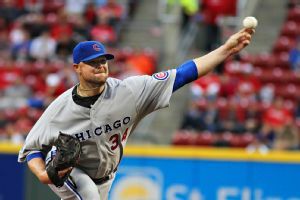 What we do know is that he appeared to aggravate his hip trying to stretch a single into a double and limped off the field. Detroit Tigers shortstop Jose Iglesias is out of the lineup because of a sore left elbow.